You’ve probably seen alarming data concerning divorce in the U.S., including that old chestnut that says that 50% of all marriages end in divorce. Turns out, that statistic is now out of date, thanks to millennials. Say what? 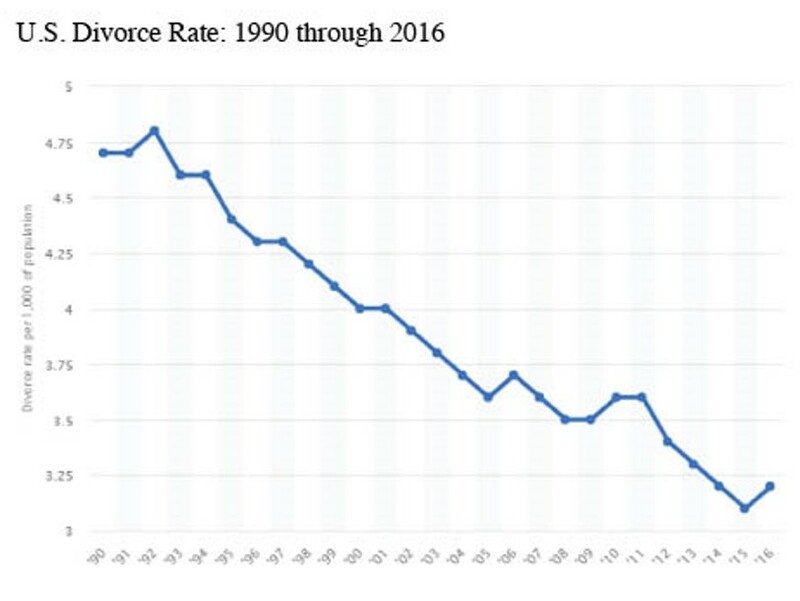 First of all, if you look at the first chart, which tracks how many divorces occurred each year since 1990, you see that there have been fewer of them lately than in the Roaring 90s. The way the chart is framed makes the decline look more dramatic than it actually is—down from 4.75 per thousand at the high to below 3.25 today—but that is still a decline. Analysis of the divorce data by Philip Cohen, sociology professor at the University of Maryland, suggests that millennials are doing marriage differently from their parents and grandparents. Instead of marrying young, they are selecting their mates once they’ve completed their education, have established their careers and have sound finances. 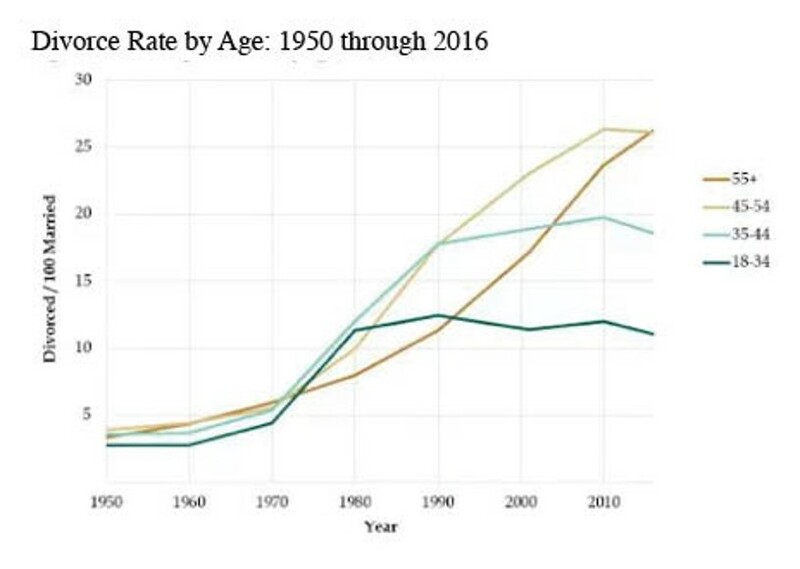 You can see on the second chart that people age 18-34 (dark blue line) had roughly the same divorce rate from 1950 through 1970, from which point younger people (Gen X and millennials) tended to divorce less often than their older peers.